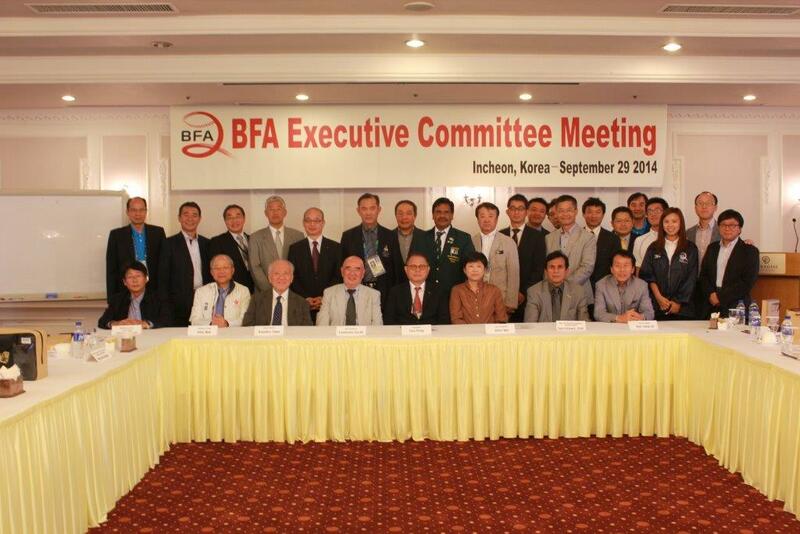 Baseball Federation of Asia (BFA) convened its 2nd Executive Committee (EC) Meeting of 2014 in Incheon, South Korea on Monday, September 29, 2014, following a highly successful finish to the baseball program at the 17th Asian Games. The emotions among the people who were at the meeting were still running high in the aftermath of the thrilling final game on the night before between South Korea (Gold) and Chinese Taipei (Silver). In the earlier game on Sunday, Japan won Bronze medal by defeating China. In his opening remarks, President Tom Peng, who is also 2nd Vice President of International Baseball Federation (IBAF) reminded his member Federations of enormous potential to develop baseball in East and West Asia. Peng underlined the need to strengthen efforts and pour even more resources into these emerging territories to grow the sport on the continent, in order to reach new generations, more young people and women. He congratulated South Korea for winning the fourth title in the last five editions of the Asian Games and, Thailand for its hosting 18U Asian Championship successfully in early September, 2014. Accordingly, BFA will host umpire clinic in Sri Lanka at the end of November, 2014 plus another one in 2015, and in Pakistan on January 15, 2015 as well as Coaching Clinic in Iran in 2015. Japan extended an invitation to the annual BFA/JABA Umpire School in February, 2015. Yoshinobu Suzuki, BFA Vice President and Director of Japanese Olympic Committee reported prospect of inclusion of baseball and softball in the 2020 Tokyo Olympic. Ms. Shen Wei reported current and future challenges of baseball in China, and Khawar Shah (Pakistan) and Vutichai (Thailand) discussed the development of baseball in the West Asia region. The EC approved tournament plans through to 2019 including 15U Asian Championship in Shizuoka, Japan in the middle of October. 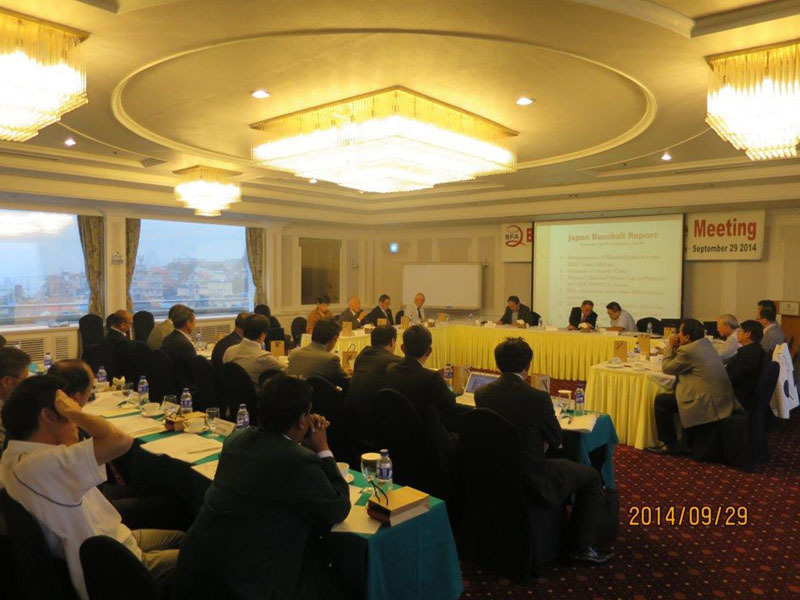 The venue for Asian Championship in 2015 will be reviewed owing to withdrawal of China from hosting the event. Attendees to the Meeting included: President- Tom Peng (Chinese Taipei), Yoshinobu Suzuki (Japan), Kim, Jong-Up (South Korea), Vice President Ms. Shen Wei (China), Members-at-Large Allan Mak (Hong Kong), Vutichai Udomkarnjananan (Thailand), ED for W. Asia- Syed Khawar Shah (Pakistan), Senior Advisor- Kazuhiro Tawa (Japan), Secretary General- Lin Hua-Wei and Howard Tsai (Chinese Taipei). Observers were; Masaaki Nagino (Japan), Ken Maezawa and Yasuharu Nagai (NPB), Yasuhiko Nagase (Nagase Kenko Corporation), Kaoru Kunisada, Norihiko Kubota and Hideyuki Sawa (Mizuno), ABAT President Somsak Pornpudphong (Thailand), Yoon, Jung Hyun and Min Jun, Cho (South Korea), Richard Lin, Chris Day, Geff Kun, Calvin Yeh, Aki Huan and George Yeh (Chinese Taipei). The Next EC Meeting will be held in Taiwan in January/February, 2015.